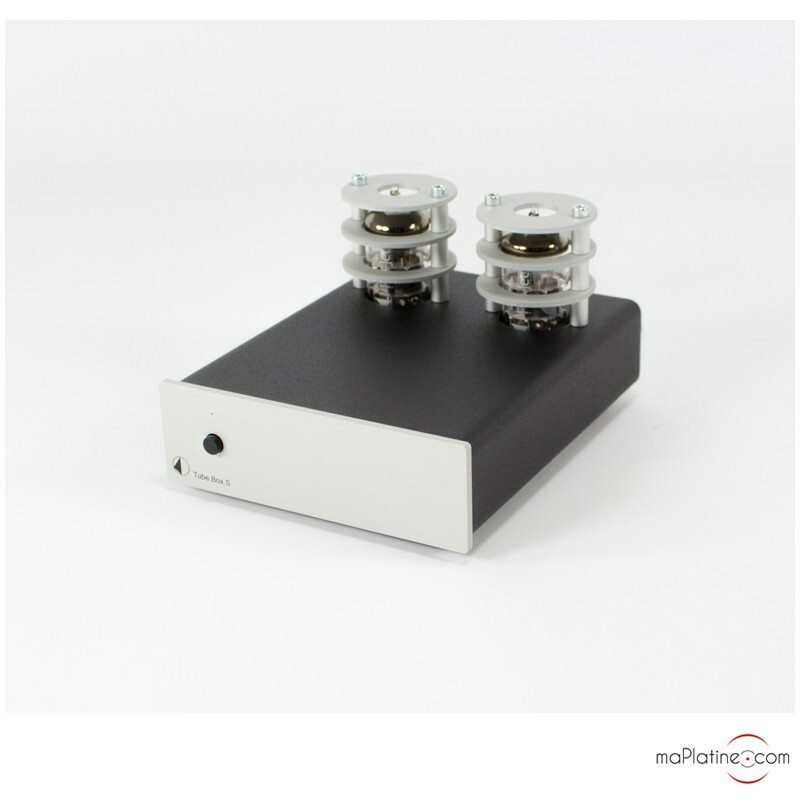 Pro-Ject's new Tube Box S phono preamplifier builds on the main elements that have made its predecessor successful and is still to date the phono preamplifier that uses the most affordable tubes on the market. 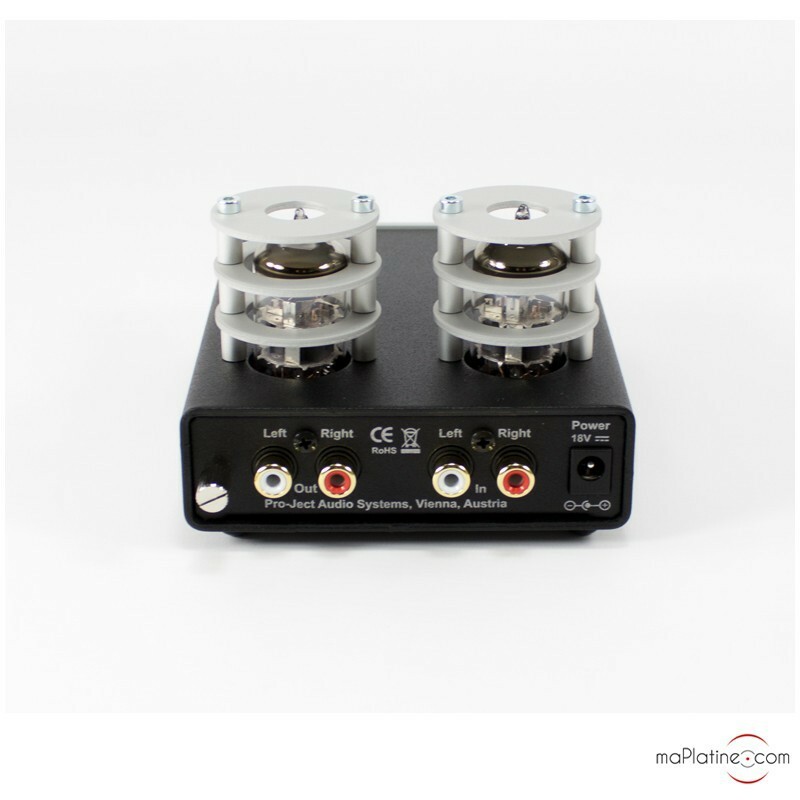 It uses the famous ECC 83 (12 AX 7) tubes as well as a dual mono architecture. 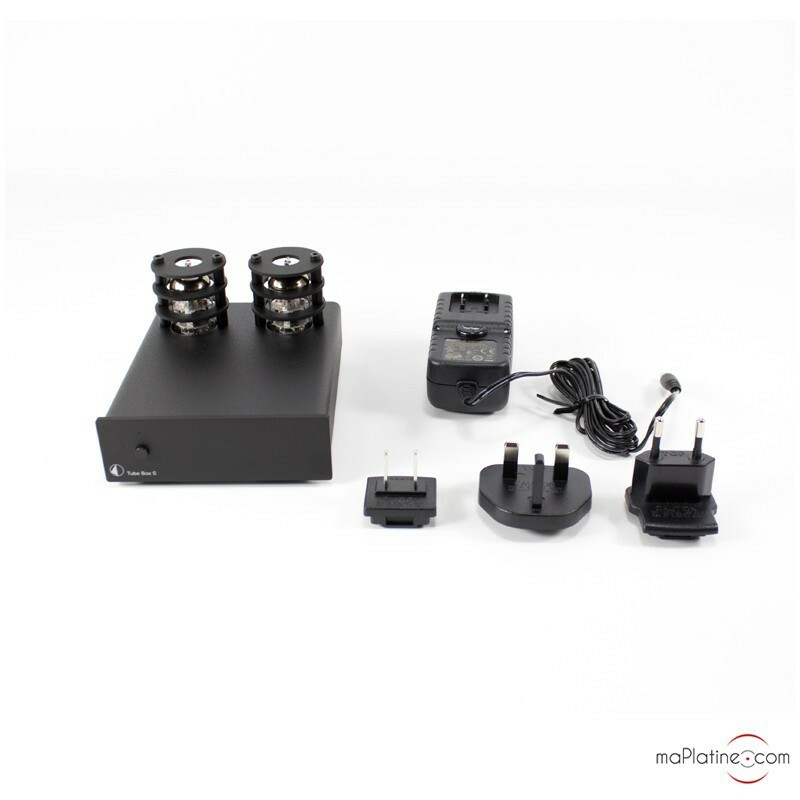 It features cutting-edge and flawless components. 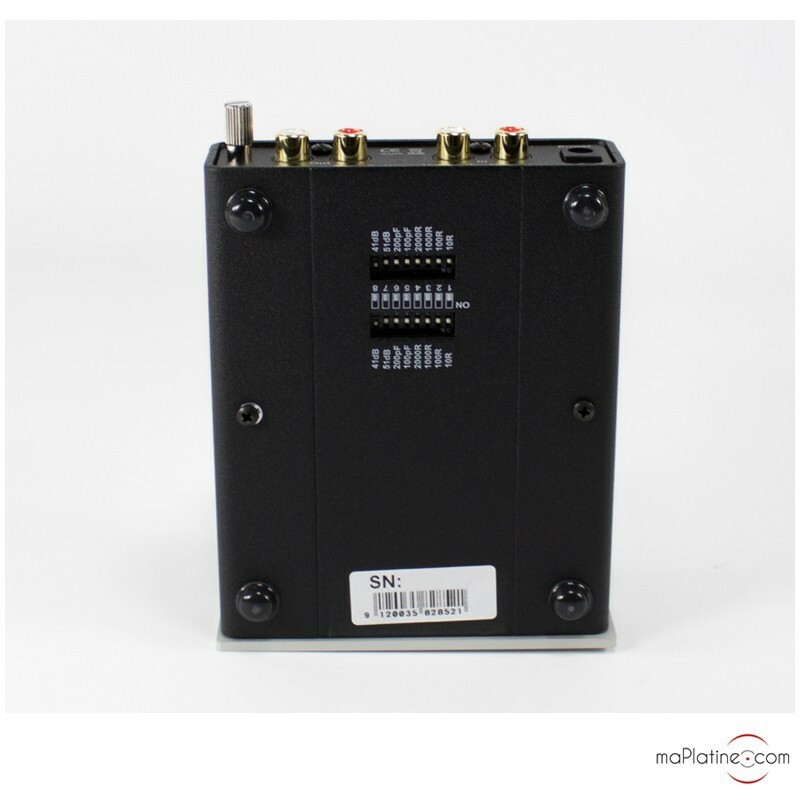 For example, it has WIMA polypropylene capacitors. Note that the manufacturer has significantly improved its top-selling product. Indeed, thanks to its adjustments, it can be paired with many cartridge models. 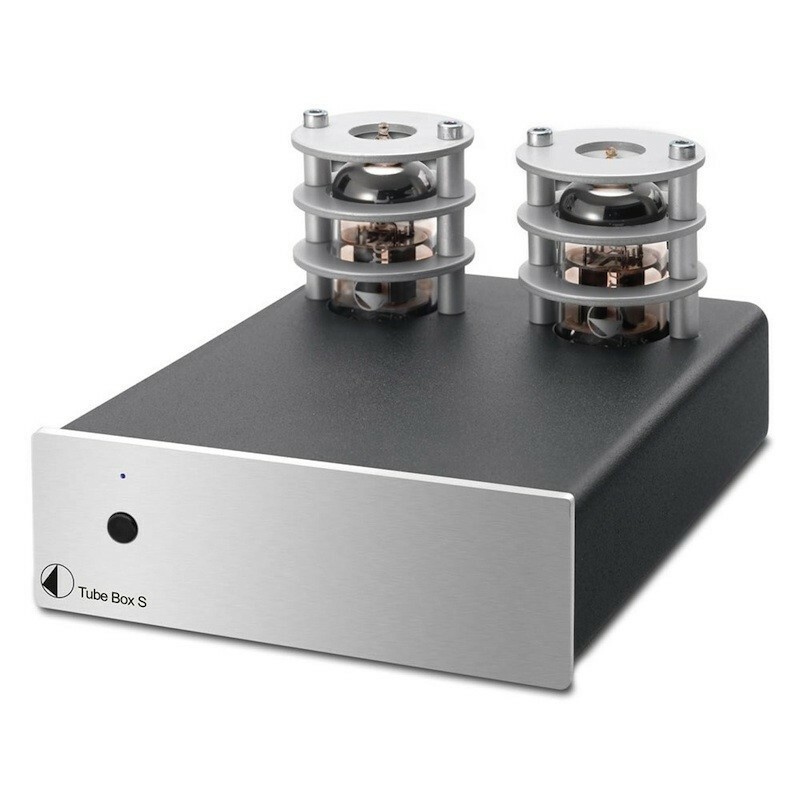 It is naturally compatible with moving magnet (MM) and moving coil (MC) cartridges, though this adaptation is a lot easier because 3 gain levels are available (41 dB, 51 dB, 61 dB). 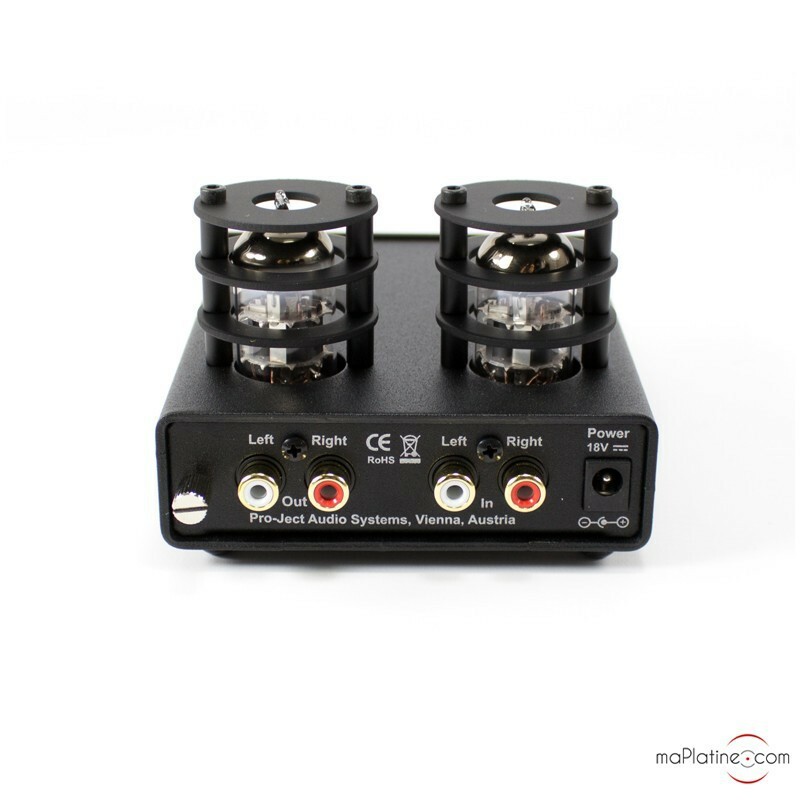 Also, the input impedance is adjustable via switches: there are 4 impedance levels (10/100/1k/2k/47k Ohms), as well as the input capacity (50 pF, 150 pF, 270 pF, 370 pF) to choose from. 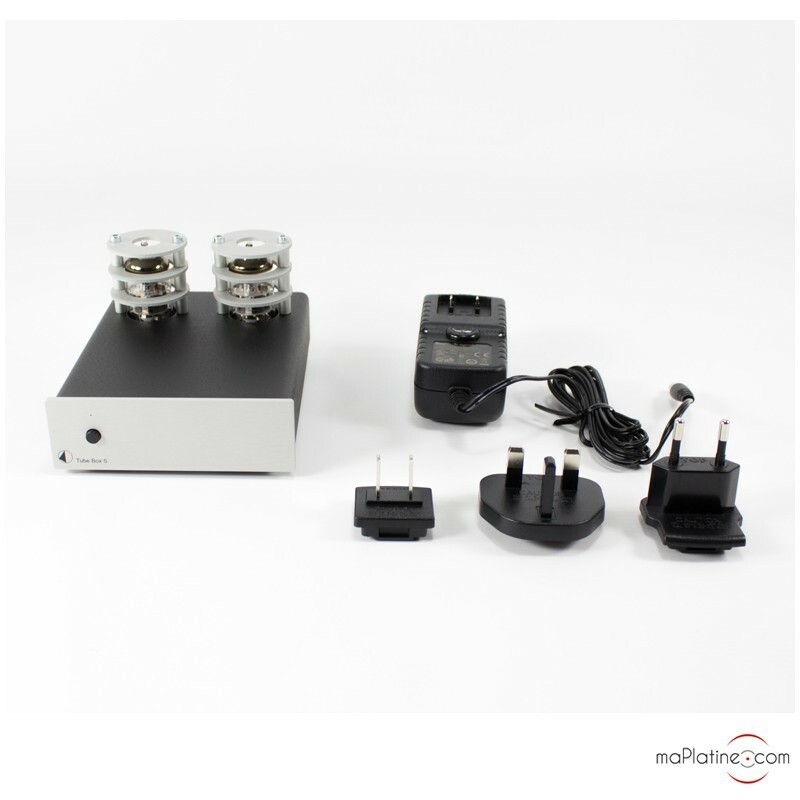 And of course, as with Pro-Ject's new range, it is powered by an18 V/1000 mA DC transformer. We perfectly configured this Tube Box S in line with the characteristics of our test cartridges. 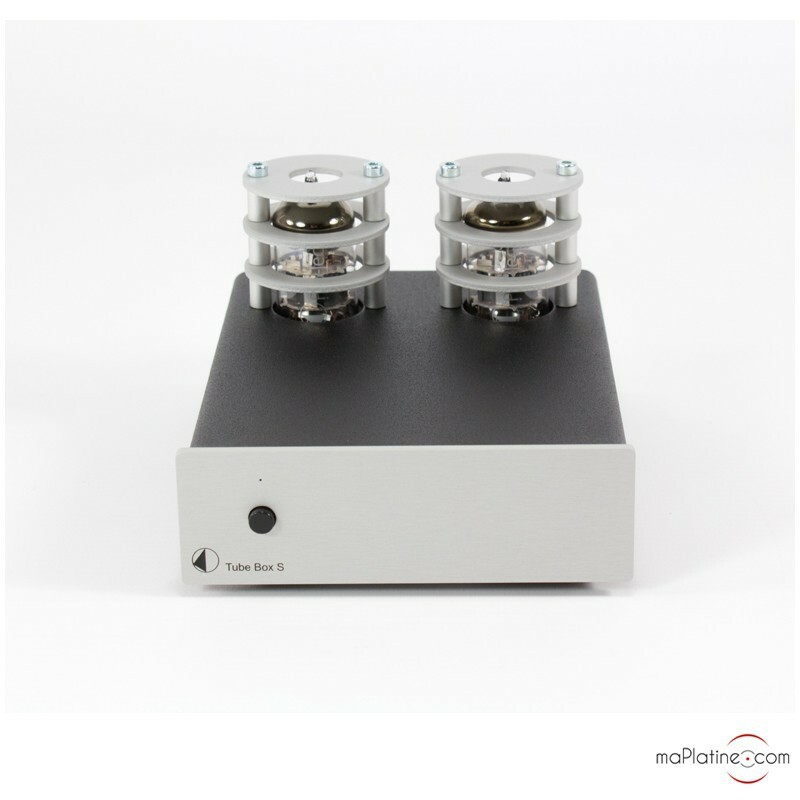 This option makes this preamplifier unparalleled compared to the previous version. The improvement is tangible across all parameters: from the opening bars, we were pleasantly surprised by the transparency and subtle sonic performance. 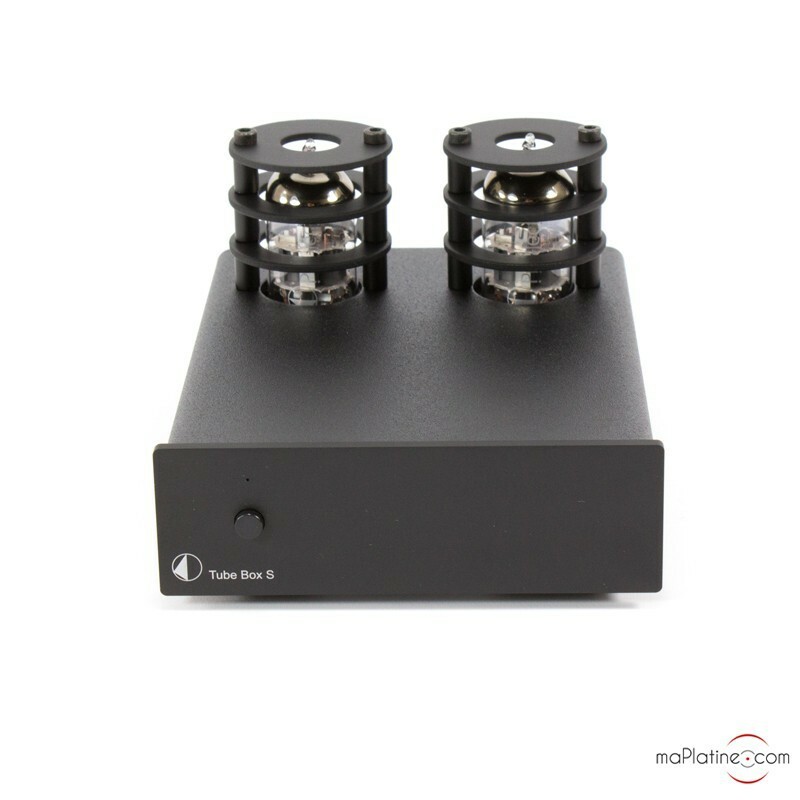 The use of tubes helps the timbre quality and a good presence in the mids (including the vocals and string instruments). Despite all this, the sonic performance is not affected by the tube colouration. The dynamics are also present and we particularly enjoyed the quality of the deep and very well articulated bass. 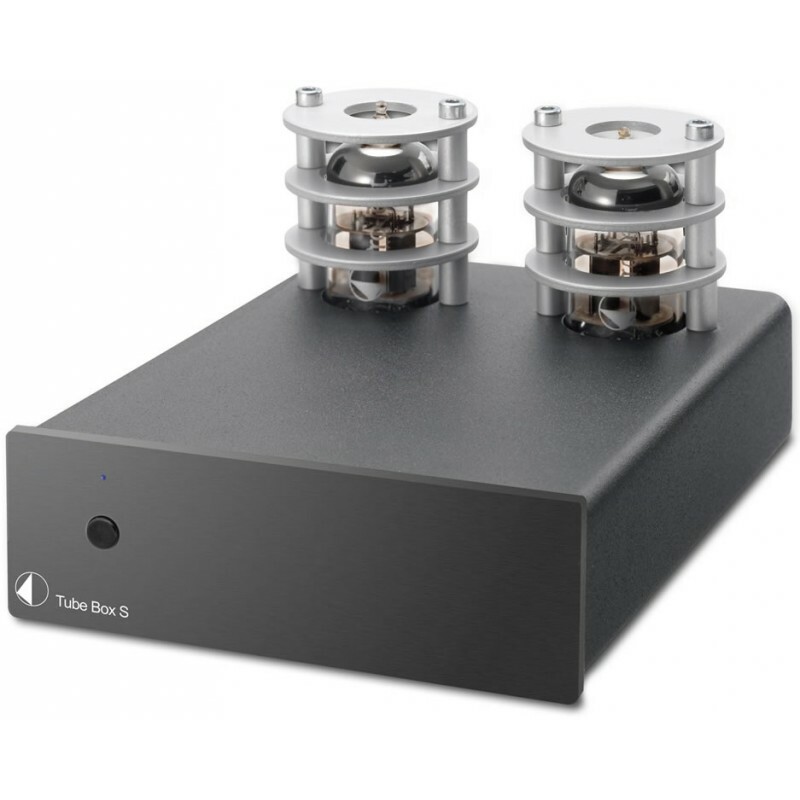 We also noticed that the treble is perfectly in place, very sleek with absolutely no harshness whatsoever. 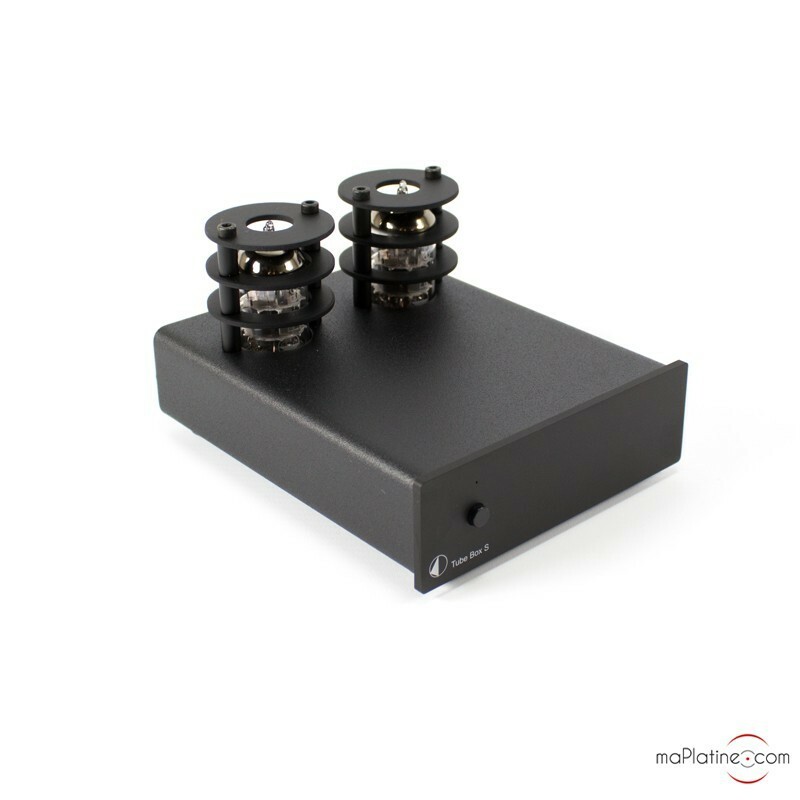 Certainly one of the best preamplifiers in its category. For the price, we consider it as a benchmark.